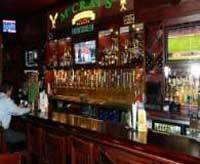 McCray"s is a bar/restaurant located in the heart of downtown Lawrenceville. We specialize in All American cuisine; Steaks, Pastas, and a large array of sandwiches. Voted Best ribs in Gwinnett County. Brunch is served Sunday's from 11am-2pm! Drink specials all week long!